Home » Conventions and Events » Destination Star Trek » Destination Star Trek Germany » New Destination Star Trek to be revealed! 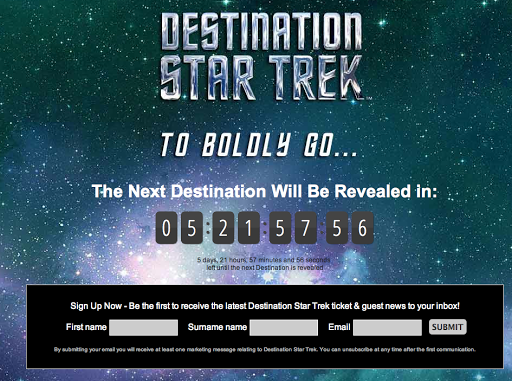 New Destination Star Trek to be revealed! As we recall from last year, the convention gods love torturing us by slowly drip feeding us information and it looks like the same is happening again with the next reveal in 5 days. So keep an eye on your inbox, check their website and make sure you’re following @StarTrek_DST on twitter. And us of course! Because we will be doing our usual detective work to uncover What The Spock is happening. Star Trek London was such a blast but you know what we Trekkies say about even numbers! !